A few months ago I applied to a competition run by the Worshipful Company of Glass Sellers. 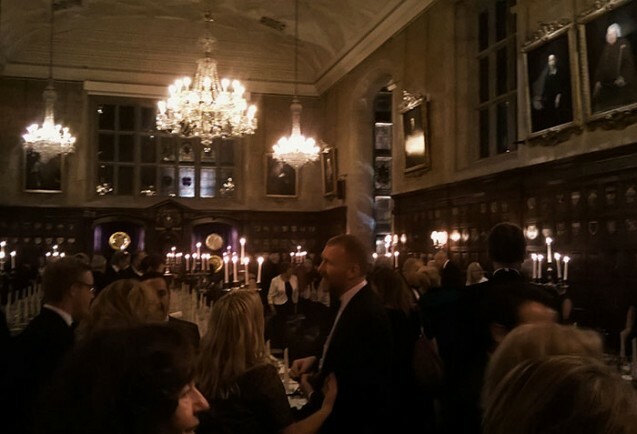 My competition entry was highly commended and as a result I was invited to the prizegiving dinner at the Ironmongers Hall in the City. 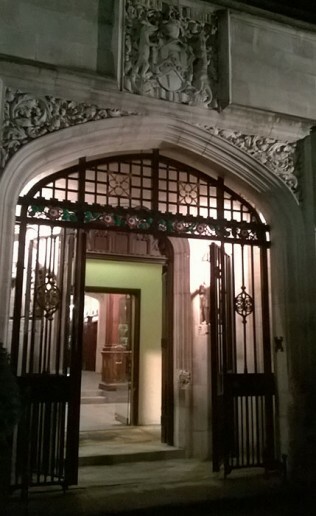 Being accustomed to the other guild, the Worshipful Company of Glaziers and Painters, it was interesting to find out that the Glass Sellers don’t have their own Hall so they use various venues for their events. 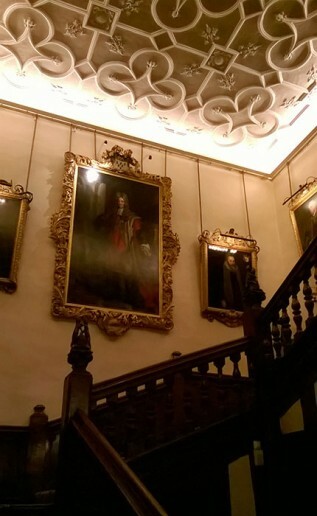 I was told the Ironmongers Hall was the most grand of all their dinner venues, and it was indeed a beautiful building, a 1920s Tudor style hall rather incongruously surrounded by the modern architecture of the Barbican. 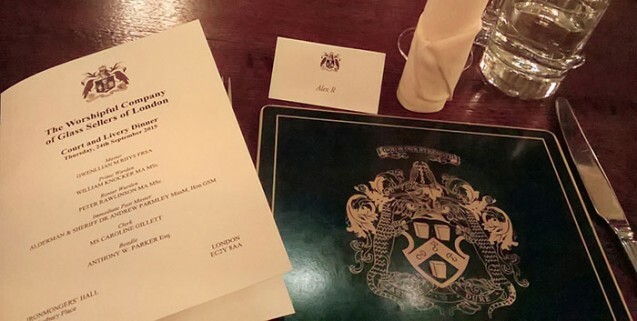 However once dinner commenced, the customs of the Worshipful Company were familiar from dinners I’ve been to at Glaziers Hall, most notably the tradition of the passing of the Loving Cup. In this communal act of conviviality, a silver gilt vessel is passed down the table from which each attendee is to drink. Harking back to times when drinkers may have been attacked by sword while they were otherwise engaged, the deep rooted custom of the Loving Cup is for each member to sip from the up with one member standing behind, back to back, and another standing in front, face to face, to protecting the drinker from attack. After dinner we withdrew into a side room where the display of of competition entries were for sale to the assembled members. I was delighted to see that both my samples had been sold.